A public library can be very helpful in finding the following books. Your local branch may not have the desired book in their collection, but they can often order it for you using inter library loan. However, this can take several weeks and the loan time is frequently short. Don't forget your nearby college or university. University libraries will have the more academic hard-to-find books and journals. They probably will not allow non-students to check them out, but you can certainly read and make photocopies there. Auxilia of the Roman Imperial Army, by G. L. Cheesman. Although this text is approaching 100 years since its first publication, it is still the defining book on Roman auxiliary forces. For a reference on the arms and equipment of the auxiliaries, you are better off going with the more up-to-date books by Peter Connolly. The Roman Army at War : 100 BC-AD 200, by Adrian Keith Goldsworthy: A solid book on the Roman army, the legions and auxiliaries. 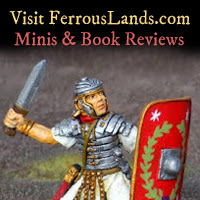 The Making of the Roman Army, by Lawrence Keppie: Roman armies built and maintained the borders over a period of centuries. Naturally, the tactics, equipment, organization, etc all went through changes as the empire grew older. Keppie discusses all these traits and how they related to the various time periods. A very good reference. The Grand Strategy of the Roman Empire : From the First Century A.D. to the Third, by Edward Luttak. This book is pretty much standard reading for Roman army buffs. Luttak describes the changing methods the Romans used for expanding and defending their empire. Although many Luttak's central theory that the Romans had a specific long-term plan for expansion seems doubtful to me, the book does provide a wealth of information which is extremely valuable in understanding the ways of the Roman army. The Column of Trajan, by Filippo Coarelli. Translated to English by Cynthia Rockwell (first published in Italian as Colonna Traiana). ISBN: 8886359373. This is the BEST illustrated book on Trajan's column! Another book on the subject, "Trajan's Column: the Cichorius Plates," is better known, but the photographs are small and hard to view. I recently found a U.S. distributor for this title: Michael Shamansky, Bookseller, Inc.
Roman Military Decorations, by Valerie Maxfield - a specialized volume about all things related to Roman military awards.